Retirement villages: Why are they popular? More and more South Africans are investing in retirement developments, and for good reason. Retirement developments vary, and depending on the price, they offer a number of facilities, including central heating, air-conditioning, fully-fitted kitchens, satellite television and in some cases, even Wi-Fi Internet connection. There is also a wide range of communal facilities provided, including medical and dental clinics, nursing services, lounges, laundry and housekeeping services, spa and gym facilities, a restaurant, bar, meal delivery and handyman services, a mini-supermarket, and free local transport. Sports facilities are also common, and can include swimming pools, tennis courts, bowls, golf course, a video room, library and a social club. As their name implies, retirement developments are purpose-built communities for the elderly. The developments usually include a selection of various sized apartments, townhouses and villas. “A wide selection of residences caters for the varying ages and consequent needs of retired individuals,” says Goslett. Many retirees prefer to buy a home where they can still do a bit of gardening and enjoy their independence, and later on, when assisted health care is required, they can move into a smaller apartment where care is provided or into a frail care facility within the same development. – Full Individual Title is normally available when the sites or plots are situated within a common property area which is managed by trustees and a levy is charged to offset service costs within the common area. The buyer will receive title deeds to the property, the property will be registered in their name and includes the area around the unit for exclusive use. Owners are personally responsible for the services, rates and taxes associated with the property. – Sectional title is another type of ownership which places the rights of ownership squarely in the hands of the owner. A levy is also charged in order to finance the services provided. – Share-block schemes are less common. The complex is registered in the name of a share block company and each unit allotted a certain number of shares in the company. You buy shares, which give you the right to use a unit and the complex’s facilities but you don’t own your dwelling. This type of ownership means that one has a right of occupation to a specific unit tied to the block of shares you own. Levies are payable to cover the expenditure as sanctioned by the board of directors. – The whole purchase price plus a portion the of capital growth. – The whole purchase price without capital growth. – Only a portion of the original purchase price. – No part of the purchase price. With a life right ownership scheme, you buy the right to live in a specific unit. However, as the ownership of the property isn’t transferred but retained by the estate, no transfer duty is payable. Nor are there any registration fees, as there are no title deeds. One needs to bear in mind, however, that a life right property can’t be bequeathed to an heir, as the right terminates when you leave the village or die. 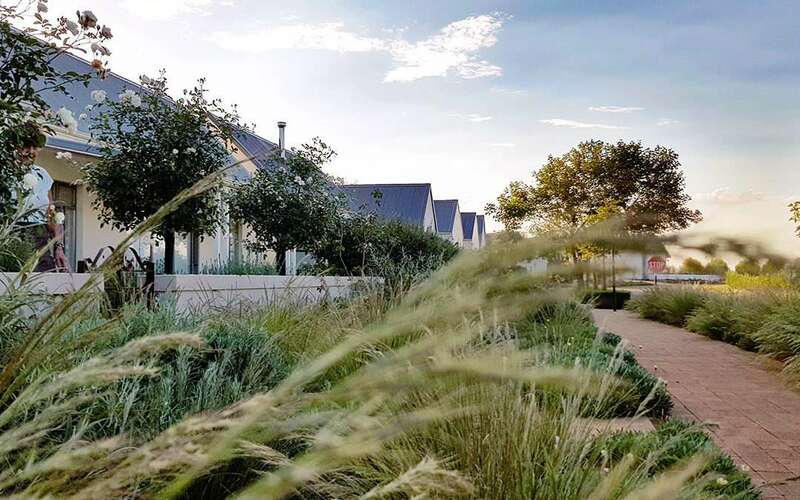 Goslett says that there will be a high demand for retirement properties for a long time to come, particularly with the current shortage of these kinds of homes in South Africa. “Those that invest in retirement schemes wisely now will be securing more than just another property; they will be buying into a solid asset class that guarantees investors financial returns,” Goslett concludes.